A prominent tastemaker and promoter of modern design, Thea Proctor contributed to the development of modernism in Australia through her work as a painter, printmaker, designer and teacher. 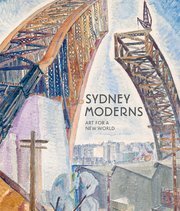 Favouring cosmopolitan female figures and a local subject matter infused with the ambience of the global, her varied body of work exudes the stylised elegance and distinctive features underpinning Sydney modernism in the 1920s. Proctor studied at the Julian Ashton Art School in Sydney from 1896 where she focused on drawing and compositional design, an emphasis reflected in her early work with murals and posters, bookplates and magazine illustrations. Travelling to London 1903, she briefly studied at St John’s Wood School and then took private lessons with Australian artist George Lambert, who would become a close friend and mentor. In London, Proctor mixed with a circle including William Orpen, Augustus John, Wilson Steer and expatriate Australians Charles Conder, Arthur Streeton and Tom Roberts. Conder inspired her interest in painting fans, which she exhibited at the 1907 Women’s work exhibition and the Venice International Exhibition in 1912. Typical of this genre, her Fan design c1908 presents a romantic, idyllic depiction of an ideal, leisured world, while reflecting Proctor’s interest in historical costume. Additional influences included the drawings of Jean-Auguste-Dominique Ingres, Japanese prints, a love of the Chelsea Art Club balls, and Ballets Russes, which she saw in 1911 and which foreshadowed a lifelong interest in ballet and theatre. In 1912 Proctor visited Australia, holding exhibitions in Sydney, Melbourne and Adelaide. 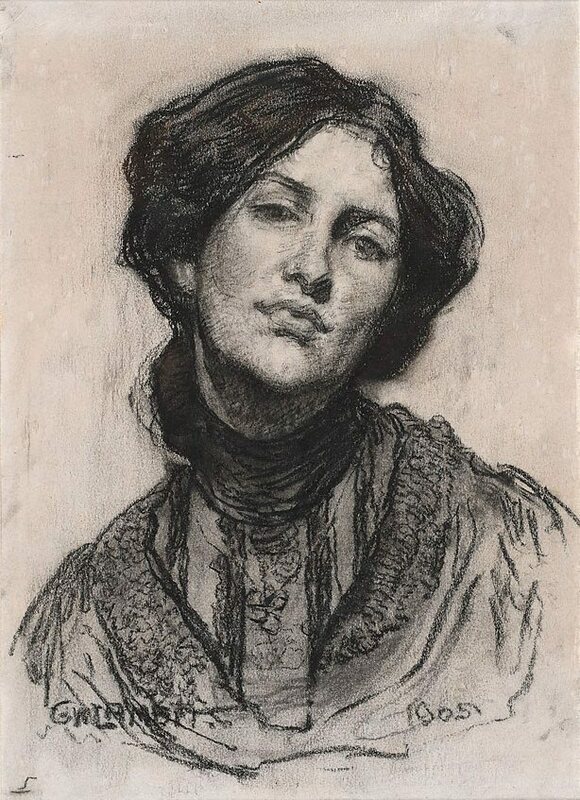 Back in England in 1914, she developed a reputation as a lithographer, showing her first lithographs at the Senefelder Club and exhibiting with the International Society of Sculptors, Painters and Gravers as well as the Goupil Gallery. After living in London for 18 years, Proctor returned to Sydney in 1921 and taught at Julian Ashton’s art school. There she established a practice that traversed the terrains of art and design; she was as equally absorbed by the sleek figures of contemporary fashion (such as those featured in the pages of the newly launched Vogue magazine) as she was by the silken-mysterious beings in Conder’s fan compositions. Her art was shaped through an unlikely combination of dreamy fin-de-siècle atmospheres and the streamlined emphasis of modern design. These elements became embedded in Proctor’s distinct female figures that the Australian critic Ethel Anderson referred to as her ‘slender Amazons’. Appearing as characters of a belle epoque of the modern age, these figures, along with her use of saturated colour, became the hallmark of Proctor’s art in Sydney. In The bay c1927 Proctor’s languorous Amazons are the embodiment of a cosmopolitan modernity and the stylish gatekeepers of their harbour-city backdrop. While not presented as brash young flappers, an image typically suggestive of the sexually and politically emancipated ‘new woman’, they assert a self-assured modern attitude in their stylised elegance. They view the world from an elevated vantage point, implying the new outlook that apartment living had brought to domestic life. In the 1920s Sydney’s inner-city landscape was transformed by apartment buildings and here Proctor makes decorative reference to them by plotting their block forms against the circular rhythms of Rushcutters Bay, which is posed as a pulsating external force against the luxuriously slow pace of the interior. The watercolour on silk medium instills Proctor’s vibrant colour combinations with a luminous quality, enhancing the feeling of a sumptuous, light-filled space. An active member of the Society of Artists, which awarded her a medal in recognition of her influence as a tastemaker in New South Wales, Proctor helped Lambert and others to found the Contemporary Group in 1926 to promote innovation in the arts. 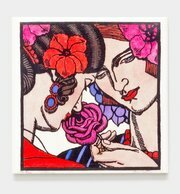 Experimenting with linocut and woodcut printing, she exhibited her first woodcuts in a join exhibition with Margaret Preston a year earlier in 1925. 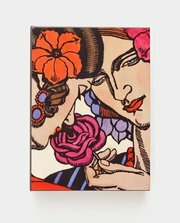 Her modern approach to the print medium is visible in The rose c1928, which presents a simplified, cropped view of two women sharing pleasure in the fragrance and beauty of flowers delineated in bright unmodulated colour. The composition, which features the artist’s cousin Hera Roberts on the right, is based on a drawing originally created as a cover for Home magazine, to which Proctor contributed numerous illustrations and articles on fashion and interior decoration. Proctor moved from her George Street studio around 1935 to live with her mother in a small ground floor apartment in Double Bay, the interior of which features in her watercolour Woman in white c1942. From her mid-career onwards she made numerous such portrait and figure drawings of friends, lodgers and as commissions, which were necessary to earn her living. Drawing had always been the most regular and consistent activity of her artistic practice, influenced in part by the importance it held for her mentor, Lambert. A retrospective was held at the National Portrait Gallery, Canberra, in 2005 and Proctor’s work has been featured in a number of other exhibitions, including Sydney moderns held at the Art Gallery of New South Wales in 2013.